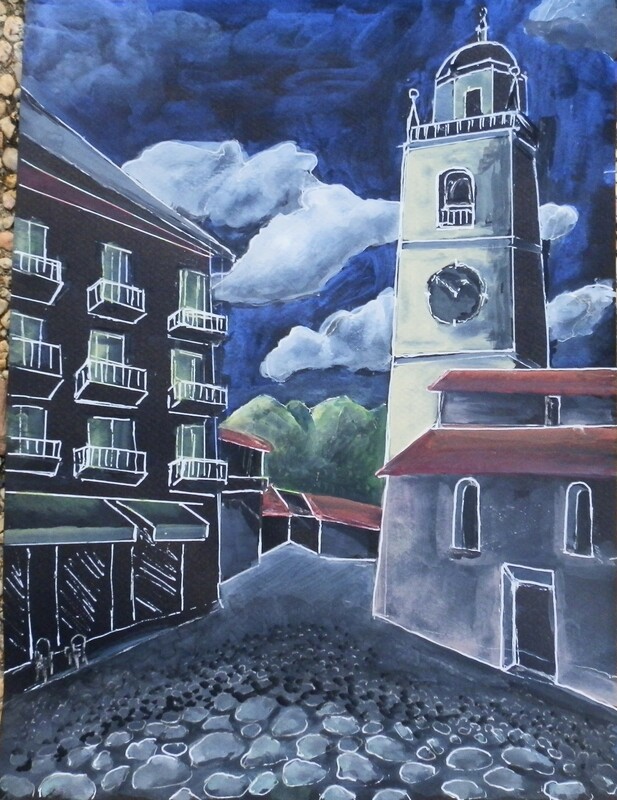 In the quest to learn and do more I have now started using 2 new painting mediums. Gouache is a water based media and looks great on black paper. iPad art is another new way to create paintings. After designing new artwork on the iPad using an app that provides the “painting” tools you can later have your creation printed on acid free paper. Gouache has been around for many centuries and seems to be enjoying a resurgence in popularity. It is easy to use and I am finding that although it is a water based medium, it is a good transition for us oil painters due to its reworking ability. With regular watercolors the paint is fairly permanent once you put it on paper. With gouache you are able to rewet and rework the paint again and again. In other words, mistakes can be corrected to some extent. You can also mix additional colors in and change values too. 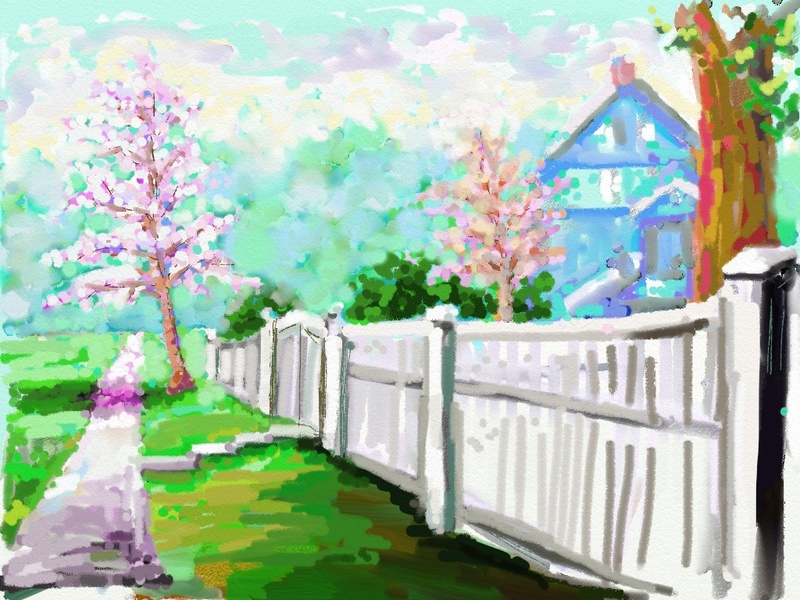 iPad art is a wonderful newish media that is gaining acceptance even among old school artists. Local art shows are beginning to accept this type of artwork into exhibitions which goes to show this trend to computer enhanced art is here to stay. The portable nature of the iPad makes it extremely versatile for on-the-go creativity. You can take it anywhere and even be productive when you are a passenger in a car. The app I use is called ArtRage. I am having great fun with both these 2 mediums and plan to continue working and exploring the potential for new and interesting artwork.